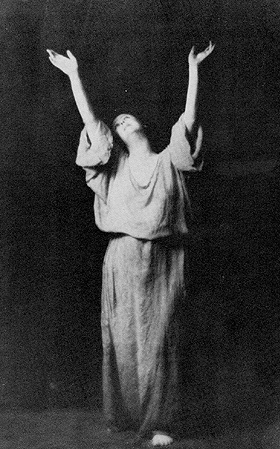 A few weeks ago I had the privilege of viewing a performance by Word Dance Theater, a DC-based company dedicated to “preserving, illuminating, and building upon the philosophy and choreography of Isadora Duncan” through education and performance. Led by Artistic Director Cynthia Word, the company performed a mixed program of restaged Duncan works as well as original pieces influenced by the spirit and movement style of Duncan’s choreography. To be completely honest, I did not get a ticket to see Word Dance Theater but to see my friend perform in the other company that shared the evening performance. And in fact, my friend and I were joking before the show about the skipping about in tunics and melodramatic posing I was going to have to endure before seeing her own company perform. Instead of antiquated movements and gestures and repetitious flouncing about (expectations created from pictures and bits of video on Duncan I remembered from undergrad), what I experienced was some of the most clear, unadulterated, powerful dance I have ever seen. I don’t really have a good excuse for not posting on this blog in the past months, but let’s say it’s because I’ve been busy. First I was applying for grad school, then waiting in agony to hear a response, then making a decision, and finally making plans to attend grad school. The result: starting September 2012 I will be attending the University of California at Riverside in pursuit of a Ph.D. in Critical Dance Studies. I’m very excited and also downright terrified. Having grown up entirely in the Northeast and never even previously visited California, moving to the West Coast and away from my family is certainly a nerve-wracking new step for me. Not to mention the whole 5-6 year rigorous Ph.D. program that may just eat me alive and challenge my every personal weakness. Yet, I’m also truly excited about a new adventure, and I strongly feel that this grad program is the right next step for me in my life and career. I’ve always been a thinker. My natural tendency is to analyze situations and the world around me – inquire, investigate, problem solve. In high school, this manifested as strong affinities for math and science. The processes made sense to me: look at a problem, hypothesize, study, test, solve, and be led to another problem or question. I didn’t used to think this side of me was relevant to my dance-loving side, though. I started college thinking I would continue to dance and separately do Pre-med studies. Yet as time went on and my professors opened me to a new world of understanding dance as art, I came to find that I could apply those same natural analytical tendencies to my true area of passion. And that’s exactly what I allowed myself to explore when I started this dance blog. My blog was a tangible way to track the examinations into the world of dance that I was interested in pursuing. Instead of dance criticism I chose a more journalistic approach, exploring questions about dance from many facets, like funding, education, exposure, etc. I didn’t really think these explorations would lead to anything; the blog was just something I did on the side to engage in discussions that I found interesting. Then I went to the Congress on Research in Dance (CORD) conference in 2010. I had heard of CORD, the national association for dance scholars, from an undergraduate professor and had been a member since that time; but the theme of this particular conference piqued my interest, and I made it a point to attend. It was there, over a cold November weekend in Seattle, that I felt I had found a natural fit in the academic community. 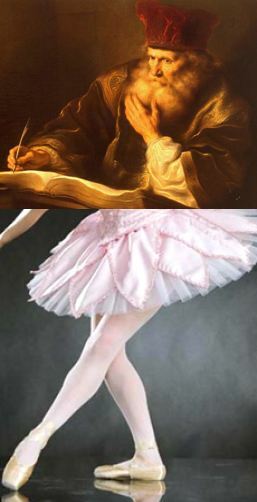 It seemed I had finally found the marriage between analysis and study that I was naturally drawn to and the field of dance, which I was passionately devoted to. And thus I was led to searching grad schools, applying, and eventually deciding to attend. I do also believe, though, that grad school is the right next step for getting me where I want to go in my career. Not that I know exactly what it is I want to do in the field once I graduate (wouldn’t that be nice). But I now feel certain that grad school will not only help me figure out my future goals but also provide the experience needed to reach those goals. Thus, after some reflection, I’m very glad that I decided to go to grad school and specifically accepted attendance in the Riverside program. It may not be the road commonly traveled, nor the easiest or the cheapest, but I think it’s the right road for me. I’m quite terrified of the challenges that lie ahead but also excited for this new adventure, and I look forward to further developing as a dance writer, professional, and lifelong fan. New motto: Ph.D. or bust! Before the throngs of crazy people in costumes descended on downtown Manhattan yesterday for Halloween, and before the strange October snow storm that descended on the city this past weekend, there came the Bessies, the New York Dance and Performance Awards, which descended upon us last week. 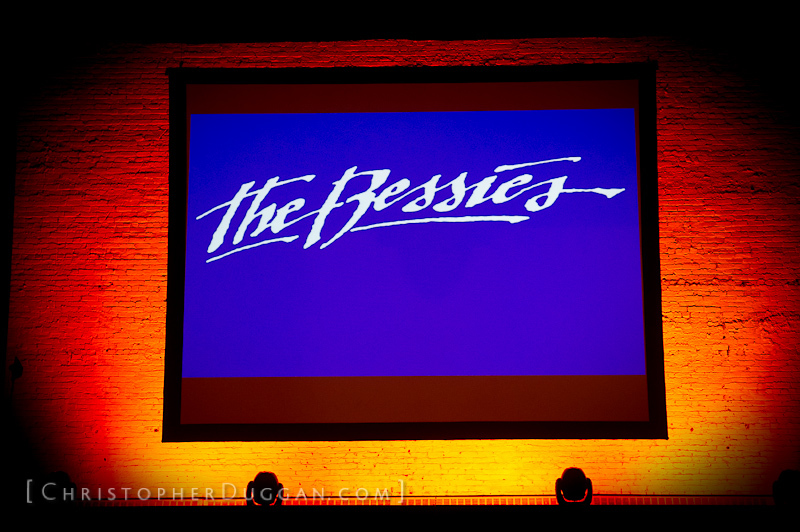 Taking up (a hopefully permanent) residence at the famous Apollo Theater in Harlem, the Bessies brought together the best and brightest of the New York dance community last night. Trisha Brown, Bebe Neuwirth, and the Apollo – can it really get any better than that? Why yes it can. 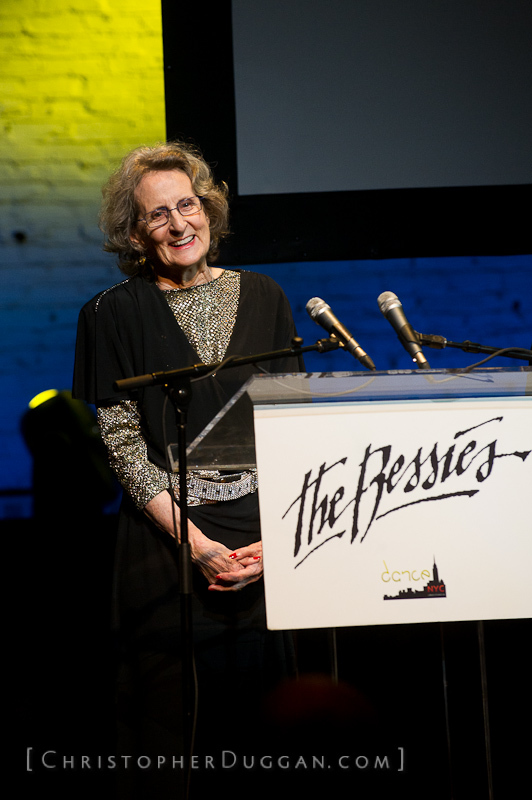 Last year I talked about the revamping of the Bessie awards, under the new umbrella organization of Dance/NYC and the new leadership of Lucy Sexton. And it seems in just one year there have been significant changes in the event, mostly, I believe, for the better. The biggest difference and improvement is the expanded scope covered by the awards. Because of a completely new set of categories and multiple nominating committees, it seems the awards are much closer to fully representing the breadth of dance in New York City. From recognizing Alexei Ratmansky’s work with American Ballet Theatre for “Outstanding Production of a work performed in a larger capacity venue,” to “downtown” dance artist Beth Gill for “Outstanding Emerging Choreographer,” and Violeta Galagarza for “Service to the Field” for her work with Spanish Harlem’s Keep Rising to the Top dance company, it was great to see an embrace of dance diversity. Even beyond the actual awards, the variety of people gathered and the presenters themselves really showed a new desire to represent all aspects of New York’s rich dance scene – ballet, hip hop, uptown, downtown, straight up dance, not quite dance, and everything in-between. There is still more work to be done, especially as mentioned a need to reach more into the borough communities of the Bronx, Queens, and Brooklyn. But it seems we are at least headed in the right direction. Along with these major highlights and developments, last Monday was also just a nice evening of gathering together as a community. For me personally, it was fulfilling to note that I knew more people in the crowd this year than I did at last year’s event. And I think that’s really what it’s all about: coming together with people you know and people you want to know, putting aside the daily struggles of supporting this crazy art form, and donning evening attire to properly celebrate the wondrous gift of dance. A grand thank you to those that made the Bessies possible and are working passionately to sustain its vibrancy in the future: Dance/NYC, Lucy Sexton, Lane Harwell, Lacey Althouse, the Junior Committee, and the various Bessie committees. For the full list of honorees, check out the Dance/NYC posting. For more coverage of the evening, read the New York Times article, InfiniteBody post, and Junior Committee blog post. For more from the wonderful photographer, check out Christopher Duggan’s website. I have seen the dance world from multiple perspectives. I have studied dance most of my life and performed, choreographed, and taught dance. 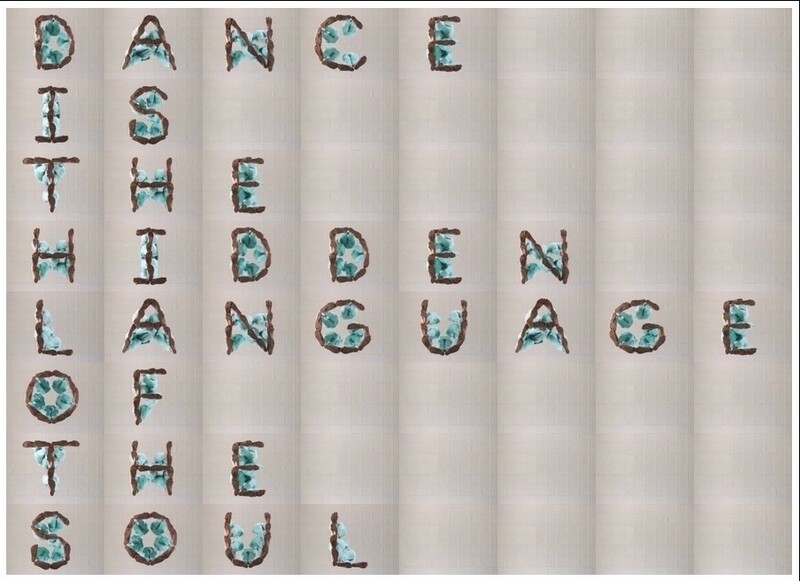 I have learned about dance (with a degree to show for it) and read, thought, and written about dance. I have worked in administrative roles for dance education, presenting, and service organizations. I have engaged with Dance/NYC, Dance/USA, the Congress on Research in Dance, the Arts and Business Council, and the Harkness Center for Dance Injuries. I live in New York City where I see dance performances and hobnob with a variety of dance professionals on a regular basis. And my consensus from observing the dance world from these diverse vantage points is: 1) I love it; I believe in it; I’m not done with it, and 2) It needs a lot of work if it wants to grow and sustain. 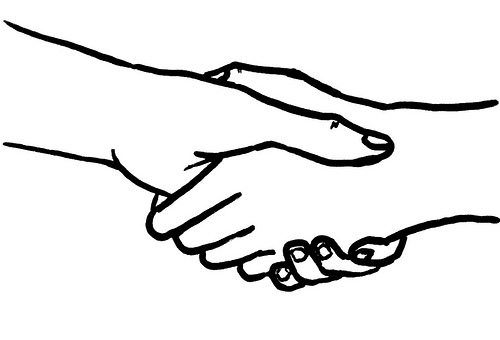 There is not enough connection and caring among the different sectors of the dance world. I often refer to the 4 A’s and an E: Artists, Administrators, Advocates, Academics, and Educators. I feel that there need to be communication bridges between each of these groups as well as mutual respect and concern for the health of each sector. Specifically, academic researchers and writers tend to be very exclusive. I spoke about this in my review of the Congress on Research in Dance conference last November. I particularly wish that academics were more inclusive of the rest of the field in their studies and also shared their findings with a broader audience, sparking positive change by sharing the knowledge with those it actually affects. Once connecting bridges are established between the different sectors, there needs to be more discourse among people in dance. We need to come together to talk about issues and discuss solutions. I feel dance writers could play a critical role in helping this discourse to happen – using media platforms to bring up topics and engage conversation (not just providing dance criticism). In order to do this, though, we need more opportunities, support, and compensation for dance writers. To fully bring everyone to the table and working together to promote change, we may need to improve our current service organizations and possibly create new ones. For example, I think the Dance Critics Association and Dance/USA could benefit from clarified missions and rejuvenated energy. And with so many separate organizations for each professional group (though each useful), is there need for a national umbrella organization for all things dance, to at least bring representatives from each community together for cross-conversation? I know I haven’t written a regular post in a while, but I felt the need to wrap up my little series on Ok Go dance videos before moving on. So before I say any more, go, download Chrome, go to www.allisnotlo.st, and enjoy the magic. Are you back now? Pretty cool, right? Now, if you still don’t love this band as much as I do, I have one last video to show (well, at least until their next dancing extravaganza). This one is not really a dance video, but still totally fun. Apparently OK Go was summoned recently to do a version of The Muppet Show theme song, complete, of course, with a music video with the Muppets. With references to a bunch of the band’s well-known videos and your favorite Muppets characters, the end result is pretty great. Check out the video below and also a fun behind-the-scenes video .